No.1 Paid App on AppStore Food and Drink in 14 countries. Featured in the The Sun, Mail online and as seen on ITV's This Morning and Sunrise (Australia). 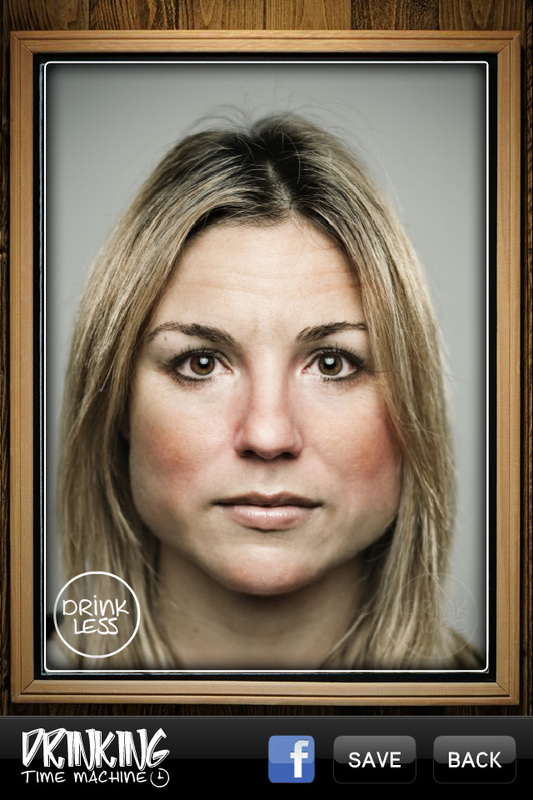 How does drinking too much alcohol effect your looks? 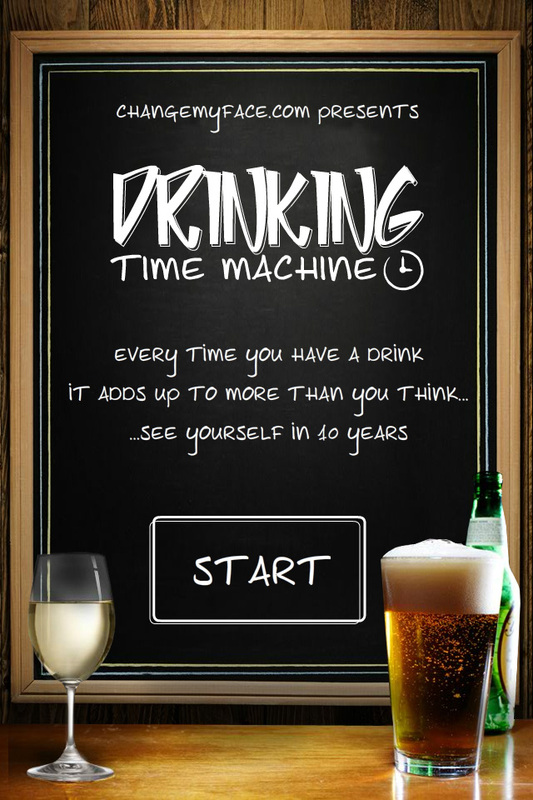 Take The Drinking Time Machine 10 years into the future to see how you will look! 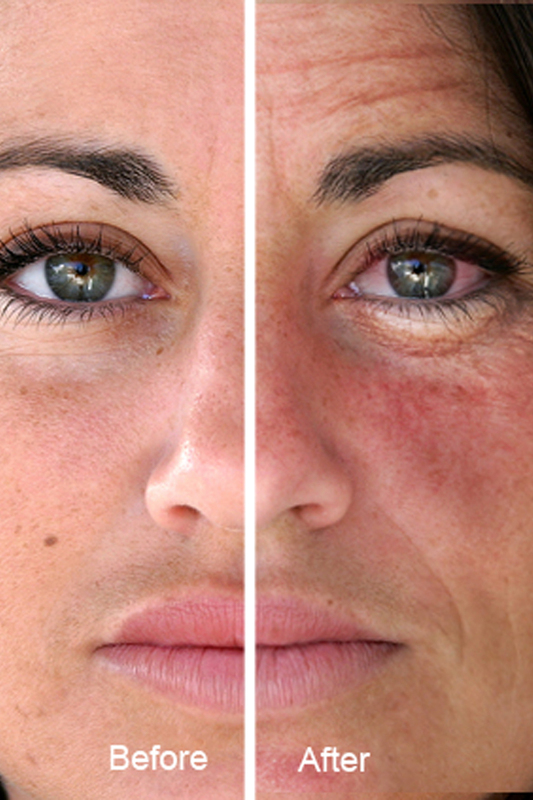 Depending on how much you drink, Drinking Time Machine will show your face with the added effects of alcohol….deeper wrinkles, red cheeks and weight gain are the result of too many nights boozing….not a pretty sight. 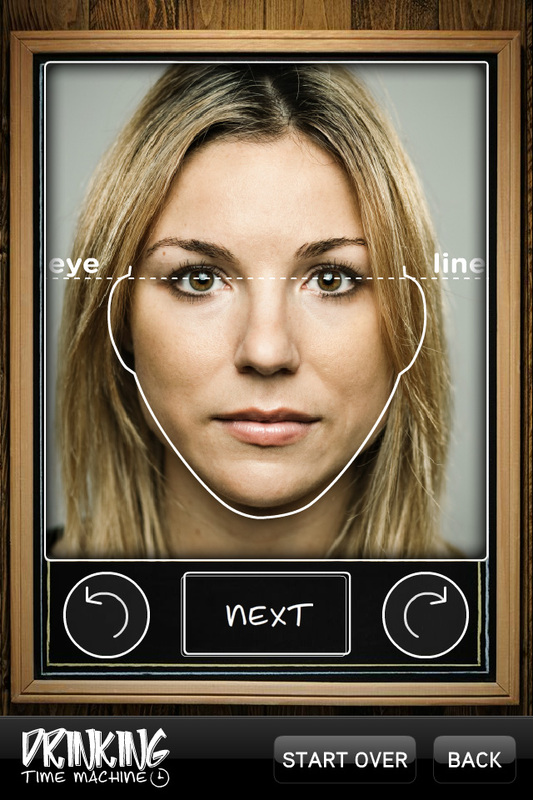 This version is intended for alcohol awareness campaign use. - Now you can share your photos with Facebook!